The latest printer range from Canon opens up a new world of printing possibilities. Are you looking for a new printer that's versatile? A large format model that does it all? The new range of printers from Canon's imagePROGRAF TX series might just be the answer. 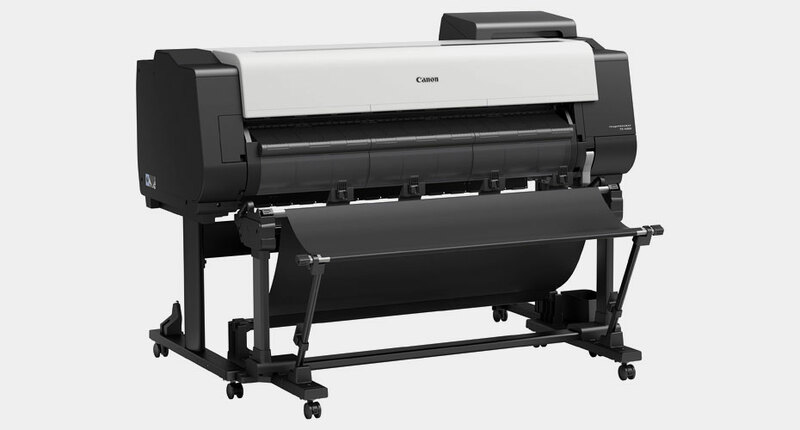 These new large format inkjet printers are not only user-friendly and reliable but a major step forward in high-production prints and ultra-fast print speeds. With the new imagePROGRAF TX series of printers, Canon has once again proven why they're pioneers in the print industry. Over the last few decades, Canon has been committed to delivering printers that evolve with the changing needs of their customers. Their latest range of imagePROGRAF TX printers is no exception. Ready to invest in a new Canon Printer? Contact Total Image Supplies, Australia's #1 Canon ImagePROGRAF distributor. The imagePROGRAF TX series printers are the perfect option for anyone looking to create high-quality colour prints at competitively high speeds. All models in the series can be expanded with two rolls. This optional dual-roll system enables you to tackle high-volume printing with two rolls of the same kind or two different media types. All TX models can accommodate rolls of up to 170 millimetres in diameter. All models also come with a 36-inch colortrac scanner that can be controlled via a 15.6-inch touch screen panel. With a new copy and archive mode, printing jobs can be queued up hours in advance. Direct printing from USB flash drives is also an option for office visitors or users on the go. Who will benefit from this new range? Architects, engineers, and construction workers can all benefit from the high-quality imagery that the Canon TX series can produce with CAD drawings. Offices for the government, local council, and creative industry jobs can also benefit from its large format printing capabilities at high speeds. Using newly-developed LUCIA TD ink, Canon TX series printers can produce fine lines, sharp text, and vivid colours. CAD drawings, posters and banners, can all be reproduced with exceptional detail. The ink itself is specifically designed for water resistance. This enables construction workers and engineers to reproduce their printed drawings on a format that's durable enough for outdoor use at a worksite. The ink performance from these printers eliminates the need for high-quality coated or uncoated paper. In the past, CAD drawings were printed using LED plotters. Now offices and construction sites can rely on their own Canon TX series printer to produce high-quality drawings on demand. Why choose Total Image Supplies for your new imagePROGRAF TX? When you're choosing a new printer supplier, it's not just about the quality of the printer you're purchasing. Think about the quality of customer service you're receiving. With a superior knowledge of Canon printers, we'll give you advice on which imagePROGRAF TX printer is right for you. Get in touch with one of our Canon printer experts. We can offer great advice on the size of printer you need based on your office's requirements. Our experts can also let you know what additional printer attachments you may or may not need. We challenge you to compare our prices with other major suppliers. You'll find that we offer competitive prices on imagePROGRAF TX models, inks, and print media. So if you'd like to find out more about Canon's exciting new range of imagePROGRAF printers, get in touch with a printer expert from Total Image Supplies today. Got any more questions about the Canon ImagePROGRAF TX series? Ask one of our Canon experts now.